Stomachache is a discomforting pain in abdominal region and it is very common in people of all ages. Either you have upset stomach, acid reflux or heartburn, the only thing in common is the stomach pain. Excess acid in the stomach is what brings the discomfort and pain. It can be treated by neutralization. Other than taking antacids, choose natural remedies like baking soda will give best and effective relief from problem. Baking soda (also known as sodium bicarbonate) is a common household substance, most often used as a rising agent in baking. It has a white crystalline appearance. Apart from its myriad of industrial and household uses, this miracle compound can be a quick and natural way to relieve the problematic symptoms of an upset stomach. 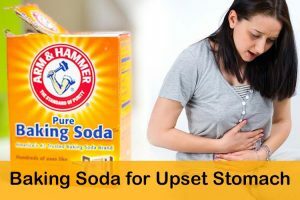 Read on for some of the long tried and tested all-natural ways to fix your upset stomach using baking soda. Nothing ruins your day faster than having unhappy digestion. As a solution, most people tend to grab the nearest bottle of antacids or some other strong medicine. Before you do that, the best way to avoid an upset stomach is to identify the cause of issue. If you do get an upset stomach for any reason, then use the following home remedies to give your internal system a break from the daily assault of preservatives and toxins that we ingest with our unhealthy diet. An upset stomach can signal a serious problem and, if left untreated, can lead to some intestinal problems like nausea, heartburn, or stomach cancer. So is Baking Soda a Good Remedy for an Upset Stomach? Baking soda acts as a natural antacid, helping to neutralize the acids in your digestive tract. It breaks down food and makes digestion easier. Baking soda relieves excess gas and bloating. The sodium content in baking soda draws the digestive juices into stomach to ease the passage into small intestine and then down to the line. A word of caution: Make sure that you don’t take it in large amounts, as it can cause high blood pressure. Also avoid taking it if you’re on a sodium-restricted diet – doing so can lead to other health issues. Baking soda can be used in many ways to treat the upset stomach. Try these home methods to get relief from an upset stomach. A simple solution prepared with water can be used; it is an easy way to treat your painful symptoms. Baking soda dissolves quickly in water and is absorbed in the intestines. It neutralizes the effects of an acidic diet or meal. The carbonation that occurs when sodium bicarbonate mixes with water will promote burping, which relieves excess gas and bloating to ease the upset stomach and pain. Therefore, the effectiveness lies in bicarbonate of soda for upset stomach. Drink this once every 4 hours (or as per the severity of your problem). This is intended for adults, not children, and the dosage should not exceed 5 teaspoons per day. This process help to soothe the stomach. Repeat once in 3 hours, if upset stomach persists. If you don’t feel any improvement within 15 minutes then drink another brew (try a slightly stronger solution). Stir well and it causes some foaming. Mix it well as it will foam quickly. Drink while it is foaming. Or you can also add 1 lemon juice, 2 teaspoons of baking soda for stomach ache and a pinch of salt in 1/2 glass of water. Drink this to burp and clear all the gas and bloating to clear the pain. Alternatively, you can add juice of 1 lemon, 5 grams of baking soda in 1 tablespoon of olive oil and drink it down to clear the problem. Massage the abdomen for more quick results. Regular intake will definitely help you to heal the abdomen pain. It will release the gases that are trapped in the stomach through carbonation and this baking soda neutralizes the stomach acid. This process is also used to treat stomach pain. This combination will bring the immense relief from the problem by soothing the upset stomach. Remember that it will take around 10–15 minutes to show its effects on indigestion. Drink this solution immediately at once to get rid of the upset stomach, GERD or heartburn. You can also use remedy of baking soda for nausea. Consume this thrice a day to get complete relief from the upset stomach. Quick Tip: You can avoid the water and simply take baking soda and apple cider vinegar solution to treat upset stomach. This should be taken for 5 days straight and then stopped for 2 days, then continue it whenever you suffer from upset stomach. Consult your doctor if you have any digestive condition that affects the mouth, esophagus, stomach or intestines. Drink this mix for twice a day till you get complete relief from stomach pain. Drink this twice a day for a couple of weeks to get relief from a sour stomach. How much baking soda for upset stomach a person should take? To get relief from the indigestion, take the right dosage of baking soda. For children of above 6 years, it is advisable to take ¼-½ teaspoon of baking soda. These baking soda remedies will not be used for the children of below 6 years until and unless it is prescribed by the doctor with the right dosage. Avoid taking baking soda if you’re on a sodium-restricted diet, as it causes high blood pressure. If you’re on sodium or salt restricted diet, then lower the baking soda to reduce other health issues. Consult the doctor before taking it as an antacid because it may interact with certain prescription drugs. Avoid giving this to children below 6 years age. People suffering from congestive heart failure, calcium absorption interference, gas, kidney damage, liver cirrhosis, etc. should avoid consuming baking soda. Pregnant women and breastfeeding women should also consult their doctor before using these remedies. Always check that baking soda is completely dissolved before taking the mixture. Also check for pure baking soda but not baking powder. It can interact with certain medications, so consult your doctor to discuss before taking baking soda and your health conditions. Capsules, tablets, granules and solutions are other forms of using baking soda which you can use to clear the problem. Never ever consume baking soda on full stomach. It exhibits certain side effects like gas, increased thirst, headache, nausea, stomach cramps, breathing difficulties, etc. so avoid taking it heavily. Remember that baking soda doesn’t cure your stomach related diseases but it just gives you a symptomatic relief. If you’re stomach pain is over whelming or consistent with other associated symptoms, then you have to consult your doctor for immediate diagnosis and treatment. Apart from simply following baking soda remedies, you have to stay hydrated, have small meals in regular intervals of time, avoid food which is allergic to you, do some regular exercises, etc. to prevent the recurrence of stomach ache. Taking baking soda will get you relief from upset stomach and digestive issues, but it’s wise to remember some basic lifestyle tips to avoid these problems in the first place. A few basic changes can affect your health and overall digestion. Use these quick-fix methods if you are having problems with an upset stomach. Baking soda is an invaluable item to have handy for times when you face digestive issues. Have you tried any of these methods? Have you tried any other home remedies for upset stomach like ginger? Then share your experience with us and please leave a comment. I like your advice. But why “Vinegar (either ACV or plain) helps to reduce the acidity” since vinegar is acidic? I now take ACV first before each meal to aid in my digestion of the meal and it has helped me a lot! I drink it with a straw though because I don’t want it to hurt the enamel of my teeth. It gives my stomach the helpful acid it needs to break down food so that my stomach doesn’t have to ‘act up’ in order to do its digestion job. I haven’t tried taking baking soda and ACV at the same time though as I thought they should be kept separate (I use baking soda for stomach pain from reactions to stress or herbs etc.) so I am going to have to do some of my own research on combing the two! Vinegar neutralizes acids It helps balance the pH in your body.. The body counteracts to acidic foods and in doing so it becomes more alkaline. Same reason why regular lemon intake is believed to reduce the overall PH level in our body fluids, despite them being acidic. Note though that it is not a clear science of what governs the PH levels in our body; it is all a bit anecdotal. However, in my opinion acidic intake (like vinegar or lemons) does not reduce the acidic environment in your stomach – the stomach acids is govern by completely different mechanisms than your overall body’s PH levels. It influences the stomach environment indeed, and might very well mean that the body itself counteracts by reducing the production of stomach acids… but it does so to keep the overall environment intact, and likely there will be no difference in the end…. … and yet Apple Cider Vinegar often helps to reduce e.g. acid reflux. Why, it is difficult to say. It is clear though that too much acidity may not always be the cause, in fact too little acidity can cause Acid Reflux as well. Best answer is more likely that your stomach experiences an imbalance in its production of acids. And so the positive effect is probably because the stomach environment experiences a sort of kick-start if you add Vinegar… of not only regarding acidity but also biotics (which is likely more relevant). In the end of the day, the best way to influence your stomach is simply by diet… not partially or magic-bullet like, but completely. Thank you. Timely, concise and well articulated. No magic bullet will ever kill the diversity that is life. As we work our way up the double helix our understanding of these very complex processes only encourages more open dialogue on main street. Thank you for P2Ping! The baking soda- vinegar- water brew worked like a charm !!! I Had been drinking Pepto all morning . This zapped it immediately.. The water, vinegar and Bsoda brew is fantastic. It’s great as a snack. Dilute 1/2 teaspoon of baking soda in a glass of water and drink it. Repeat 2 times a day. Limit the consumption to only 2 times per day. Tried 1 tsp soda with water after getting acid stomach from drinking whiskey. Worked brilliantly. After reading this article I will drink it much more often to contract effects of meat etc.Two of my family got cancer this I feel, after reading how important Ph levels in the body are, may counteract negative impacts of diet and fluid intake. Can i use lemon juice with baking powder. On daily basis for stomach problem. Any advice plz.suggest. No, you should not drink baking soda with lemon juice daily as it can lead to stomach cramps and other side effects. You can use it for occasional stomach upset problems. I tried it, 1 teaspoon of baken soda and water. It really help my upset stomach. I have digestive issues stemming from having untreated h.pylori for the majority of my life. It finally got treated in my mid thirties. My first stomach ulcer happened at just two years old. An endoscopy after the treatment revealed a irregular z-line, “ulcers”, thinning of my stomach walls, and a 2 cm hiatal hernia. That was in 2009. Since nothing has really changed besides that I haven’t had an ulcer flare up since then. But body tension and unexplained problems from otherwise healthy foods was constant. Finally I came across histamine intolerances. Everything that ever was for me was in that article. I have been living a low-histamine life since 2015 and it has done wonders but still the tension was always present and I could never get my histamines to decrease as fully as they needed too. My Hiatal hernia has gotten bigger and at times I burp up acids in yoga poses. I had it checked recently and they referred me for another endoscopy as I am suppose to have them every 3-4 years. I guess I didn’t pay attention to that part. And they prescribed Nexium. But something felt intuitively off about taking it. Being on Adderall for ADHD I check everything that goes into my body or interactions. I have tried many times over the years to treat my ADHD naturally but Adderall is an important part of that health. Yoga alone and other things didn’t control it but does wonders when treated. My body can work it’s inner systems better too when treated. So, I check interactions, and glad I did. Not a good deal. Not just for my ADHD but for my long term digestive health that I want to maintain and try to heal over the my remaining healthy years, but naturally. I have tired alls sorts of things, that are natural but to no end. My histamine levels just don’t go down enough in my own body. I kept looking at things, differences between PPI and H2 Inhibitors. I realized the PPI is the last thing I need and H2 is. I looked at the ingredients in the H2 meds. Sodium Bicarbonate is the most natural way to go obviously. I had some acid reflux going on and histamines where high that day. My fault, I chowed down on too much roasted Pepitas the evening before. I did 1/4 tsp. of baking soda in 4 oz. of water. It was in minutes that it worked! That night 30 min. before bed I did another of the same dose. I slept pain free for the first time in my life and woke up refreshed with 6 hours of sleep. THAT HAS NEVER HAPPENED IN MY LIFE! I took another same dose 2 hours before I took the Adderall to start my day with a neutral stomach. It has helped my ADHD be controllable and the Adderall xr to work effectively through the day. Still no body pain. My stomach has been digesting downward instead of feel bloated and stuck above my Hiatus. It’s been amazing! 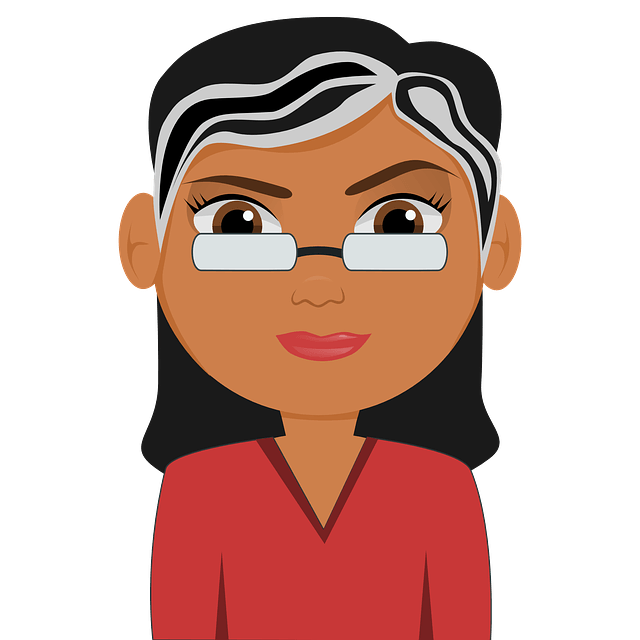 I felt hopeless about the histamine intolerance and the pain I was in, even though it far better that when I didn’t know about it. I did my yoga flow without constricted muscles in my upper body. I mean just wow. I don’t have issues with ulcers anymore, never ever had heartburn, acid reflux often until going on low-histamine diet, then it’s minor reflux since, usually by my own doing. The Histamine cell release issues though in my stomach seem to be a huge trigger in my pain and digestive problems. Everything points to that. I am going try to keep this baking soda thing right and adjust it as needed with the 1/4 tsp. with water at bed time and upon waking and should I happen to release too much histamine on any given day from food. Not from drink, I only ever drink water. Eat supper before 5pm, I like bed time between 9-10pm. Last thing I want is surgeries and lifelong PPI and H2 meds from pharmaceuticals when something so natural and simple can be done daily in small amounts along with healthy eating habits and yoga to heal my insides. All I now is I am amazed at what it has done for something that felt so hopeless. I have hope and faith and I am excited about that!!! Can I start this if I am presently on Nexium? I would like to try to wean myself off it. Never forget to live honest and loyal with almighty. Automatically you are great. is baking soda safe to take in empty stomach?